If you thought we'd escape winter without any winter weather, you know that an arctic blast changed all that over the weekend. 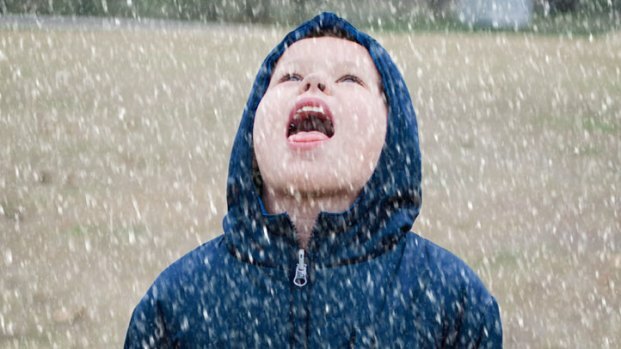 Rain, sleet and snow hit parts of North Texas Sunday night and transitioned into rain by early Monday morning. The National Weather Service issued A Winter Weather Advisory until Monday at 9:00 a.m. for the most northern counties in North Texas including Collin, Denton, Parker, Wise, Cooke, Fannin and Lamar Counties. NBC 5 had team coverage of the winter weather Sunday that was all but gone by Monday morning. Bowie, Forestburg and Graham ISD were the only school districts in North Texas to report delays because of the weather. All three school districts report a 10 a.m. start and buses delayed. Light accumulations of snow and sleet were confined to grassy and elevated surfaces but temperatures stayed above freezing so slick spots were confined to bridges and overpasses. 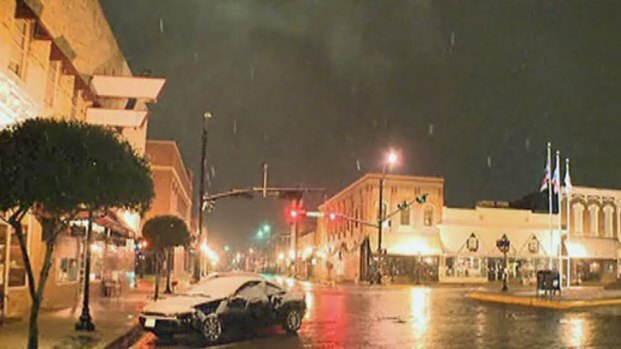 The immediate Dallas-Fort Worth area saw more rain than wintry precipitation. The Texas Department of Transportation had 140 vehicles on standby to treat bridges and overpasses in the Tarrant District. In the Dallas District 185 vehicles were prepared and on standby to treat bridges and overpasses. North Texans shared photos of snow collecting on grass, and a few people managed to scrape together enough snow for small snowmen. Dallas-Fort Worth International Airport reported no cancellations Monday morning and all airlines flying a full schedule. Deicing facilities were open as a precaution, and some taxiways and bridges were treated overnight also as a precaution. On Sunday, 90 American Airlines canceled 90 American flights and 68 American Eagle flights into and out of DFW Airport. Dallas Love Field reported it was on a Level 1 response Monday morning, with crews on standby and monitoring weather conditions and prepared to respond if deicing was needed. Southwest reported no cancellations Sunday. Temperatures will warm to about 50 degrees Monday, with the next chance for rain and a few thunderstorms coming on Wednesday. You can check NBCDFW.com for Weather Alerts 24 hours a day and also follow the NBC 5 First Alert Weather Team on Twitter.